Leaners at Filadelfia School will suffer a little less when load shedding and other unscheduled power cuts occur, thanks to the innovative Nissan Energy Solution. 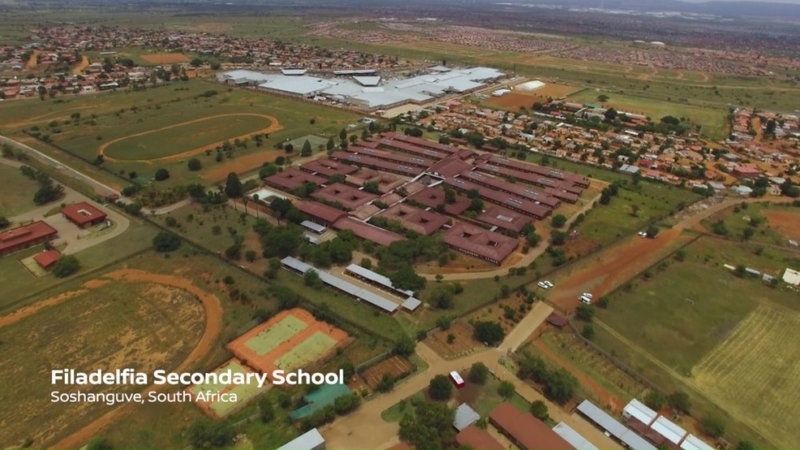 Situated in Pretoria, Filadelfia School caters to disabled students with various needs, and it has received Nissan Energy to help the school cope and have a functional back-up system during load shedding and power outages. Nissan Energy is a versatile solution that takes second life Nissan LEAF batteries and solar panels to produce sustainable power. TurnKey Energy sponsored the solar panels as well as labour and materials for the installation. This forms part of their social responsibility initiatives. Since 2007, Earth Hour quickly became the world’s largest movement when it comes to environmental action, and helped people unite behind the idea of doing their part towards saving the earth by switching off their lights. Nissan’s focus on creating a “cleaner, safer, fairer” world aligns with Earth Hour’s mission. “Nissan is committed to its sustainable development goals. We are working with Filadefia School in the community of Soshanguve to improve its access to reliable electricity and increase its use of renewable energy”, says Wonga Mesatywa, Director of Corporate Affairs at Nissan. In 2018, the amount of people without access to electricity around the globe fell to below one billion, according to the International Energy Agency (IEA). While the national grid provides energy to 85% of the population, there are just too many capacity and connection constraints, and this results in the school experiencing unscheduled “blackouts”. For Filadelfia School to have an uninterrupted source of power is incredibly important, as they constantly experience power outages that sometimes last for a full day. The school is also even more dependent on reliable energy than mainstream schools as some students are deaf and can’t read sign language when the power is out, and the school is in darkness. It is also a challenge for some of the students to navigate around the school, especially when there are no lights to guide them.